Black Bear Bakery | Eat It, St. Louis! There certainly was no reason to stay home! 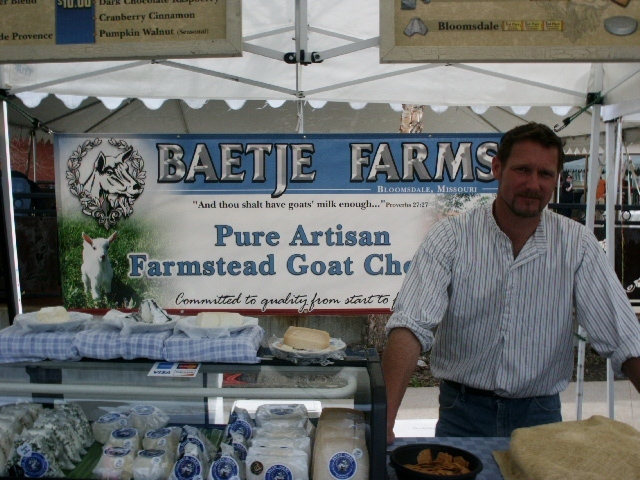 On Wednesday, April 6, Maplewood Farmers’ Market kicked off the 2011 market season, and the glorious early evening provided an ideal backdrop for farmers and artisans to showcase their wares. Encouraged by the warmth of spring and commerce in the square, people came out doors to peruse the offerings and say hello to their neighbors. At the market’s debut, the stalls buzzed with activity as shoppers shook off the remnants of their winter cocoons and purveyors talked about their current offerings and what they are cultivating in their fields. 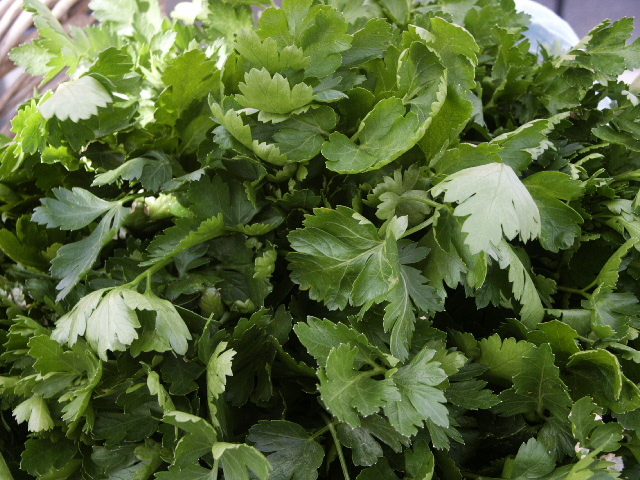 So early in the season, the best fresh offerings were salad greens* and herbs, like the ones shown here from Deep MudRiver Farm. 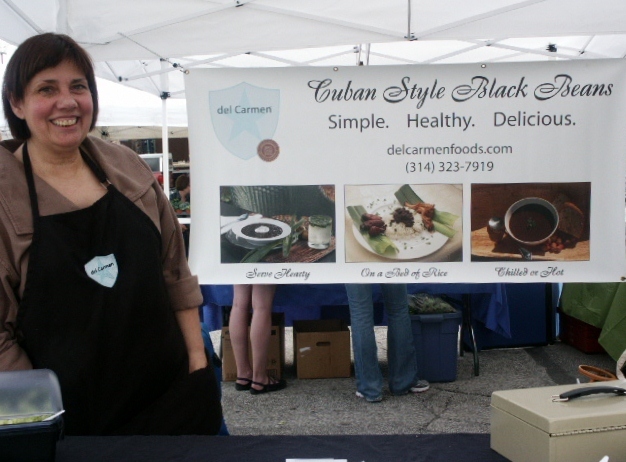 Another brilliant find was del Carmen Cuban style beans. Seriously … these beans bring crazy goodness to your table. Spicy and fresh, these beans deliver a complicated flavor profile with hints of cilantro, and cayenne, and all things Cuban. I cannot do the flavor justice. You just have to trust me on this and get your container of Cuban style beans. You can thank me later. I, myself, am wholly and unapologetically committed to getting my grubby little hands on my next dish of del Carmen beans. They add a saucy va-va-va-voom quality to any meal … or as a meal on their own. And have you heard that that Grandma’s Nuts are delicious? If not, I’ll tell you they are. 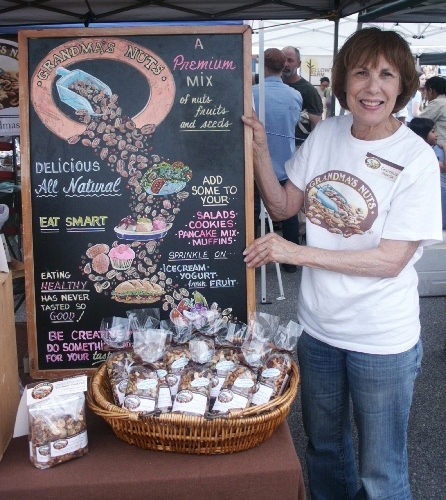 These yummy bags of goodness – which Grandma Marcia dreamed up when her son decided he was going to be a vegetarian – include cranberries and cashews; raisins and soy nuts; sunflower seeds and almonds; and so much more. You’ll never get trans fats, glutens, or peanuts. By the way: If you decide to mix Grandma’s Nuts into your pancake or cookie batter, don’t forget who may have given you that idea … I’m open to baked-good themed thank-you gifts. There were many vendors I didn’t even get a chance to learn about, like Farrar Out Farms, the Farm-to-School program, Mangia Italiano, El Chico Bakery, and Claverach Farms. I’m really looking forward to my next trip to the market. The Maplewood Farmers’ Market is a solid recommendation, my foodie friends, and I can prove it. I had a celebrity chef sighting! When Chef Gerard Craft is shopping the market, even beginners know they should Eat It, St. Louis! *My intrepid husband — who stunt doubles as my photographer — and I had the most amazing dinner using most of what we purchased at the market. Yes, the beans, but also salad greens from Deep MudRiver Farm. These were wonderful side dishes that added just the right zip to gorgeously grilled bratwurst and Schlafly Summer Lager. It was a great start to the grilling season! ** I do love a European dinner that is shopped for in European fashion. All that fresh air, leg stretching, and market chat always inspires me to approach my next meal a little differently!